The most delicious of Dartmouth traditions. Dartmouth is famous for many things: its academic excellence, its Greek life, and its freezing cold weather, just to name a few. However, perhaps the most important facet of life at Dartmouth is its strong sense of tradition. Right up there with Green Key and the Dartmouth Seven is the Lou’s Challenge (if you haven’t experienced it before you graduate, did you ever really go here?). 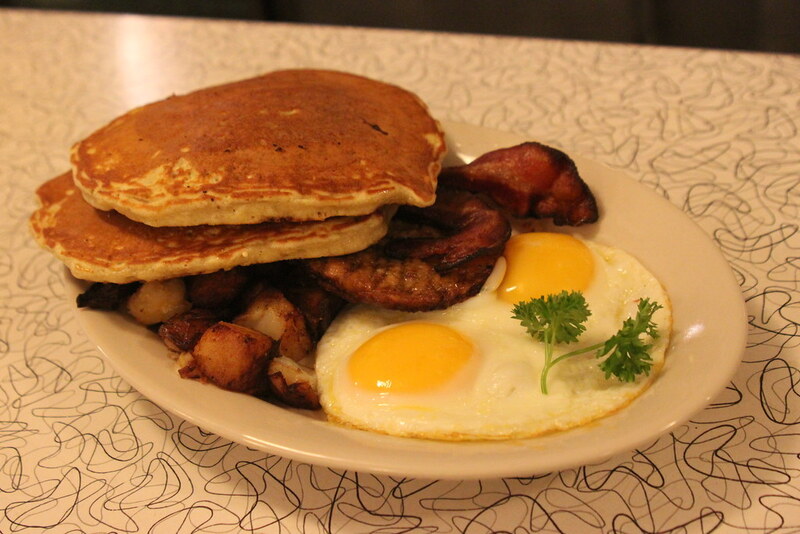 Lou’s has been a Hanover staple since 1947, when it was founded by Lou Bressett, a discharged marine. 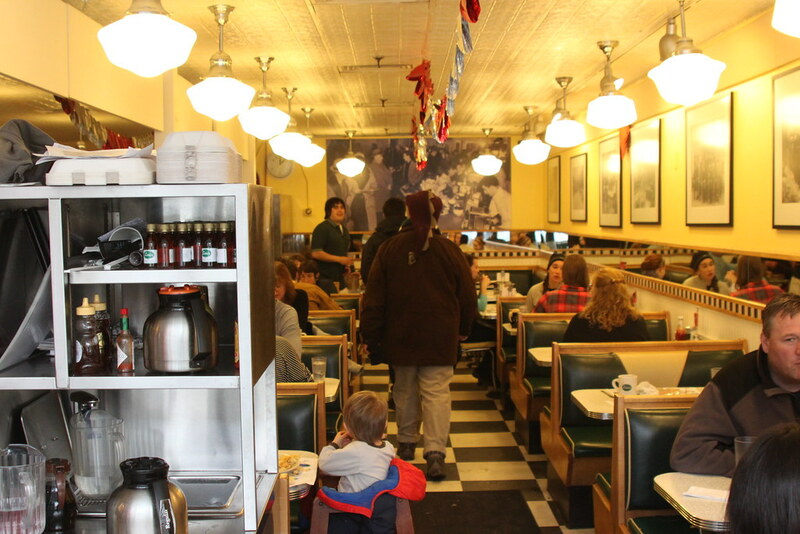 Since then, the restaurant has gained fame for its cakes and pies, as well as its breakfast. Lou’s became an imperative part of the Dartmouth experience, especially after the development of the staple “Big Green” meal: a delicious, heart-attack-on-a-plate ode to our college. 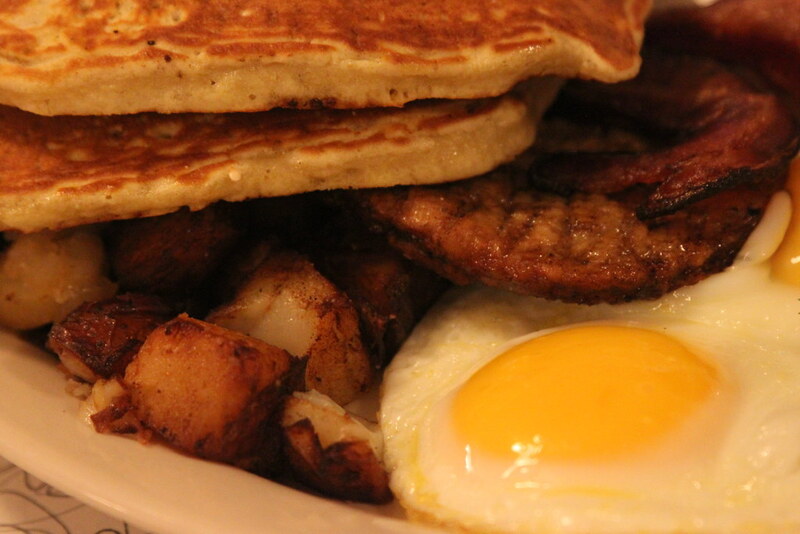 It includes two buttermilk pancakes or slices of French toast, two eggs, bacon, sausage, home fries, and a choice of toast, an English muffin, or a muffin. In addition, you can substitute in “Lou’s Cruller French Toast,” which is essentially what you’d get if a donut and French toast had a lovechild. The first bite is amazing, but halfway through the first slice, the self-loathing sets in. In return for the “Big Green,” Dartmouth students created the “Lou’s Challenge,” which consists of pulling an all-nighter, then arriving at Lou’s right when it opens at 7am. As an avid food lover, I was eager to participate in this hallowed tradition. On the last night of my freshman fall term, four friends and I decided that participating in the Lou’s Challenge would be a good way to cap off our Freshman 15 (this is a new fun college tradition in the making!). Let me tell you, folks, it’s not called a “Challenge” for nothing. We grew emotionally and our friendship reached new levels. We laughed, we cried, we watched a movie, we reminisced about the term behind us. By 5am, we had lost most of our mental faculties. By the final hour, we were each sprawled on the ground in a sleep-deprived daze. By 7am, we had somehow mustered the strength to get dressed (although I did try to put my shoes on the wrong feet for a good ten minutes) and were seated in the warm restaurant. Our friendly waitress took our orders, and in almost no time, five plates of the “Big Green” arrived. And, I have to say, it was totally worth the challenge.